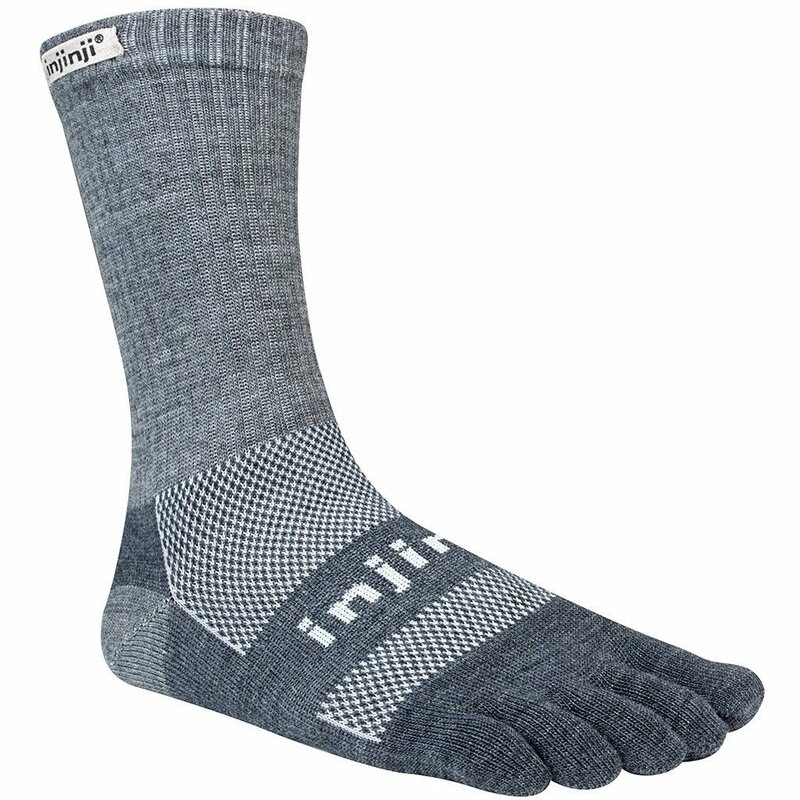 The Outdoor series is made from Merino wool fiber for the ultimate in foot comfort and performance. 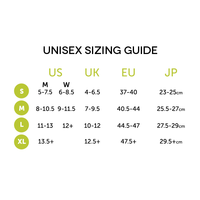 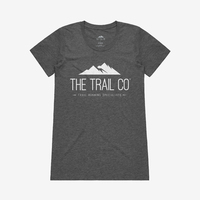 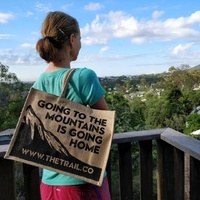 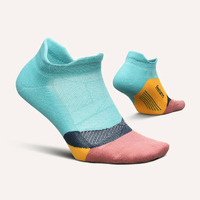 Outdoor is designed to provide the desired level of cushioning, stability, support, and comfort for all outdoor activities while preventing blisters and maximizing wool's inherent natural properties, making it ideal for all weather conditions. 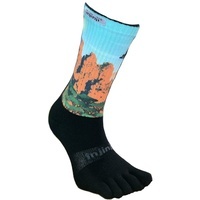 Individual anatomic toe sleeves form a thin anti-blister membrane between toes to eliminate skin-against-skin friction Nuwool blend of merino wool, nylon and spandex wicks moisture to keep your feet dry when you're hiking. 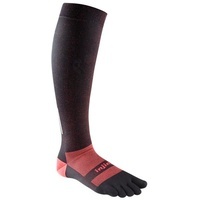 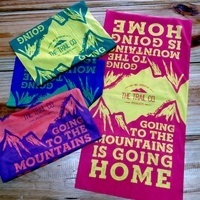 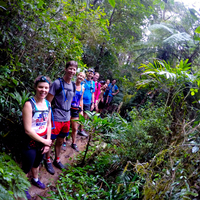 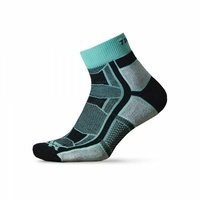 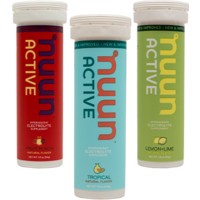 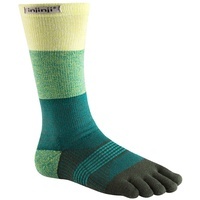 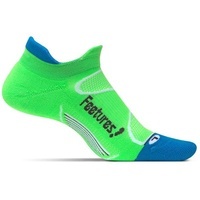 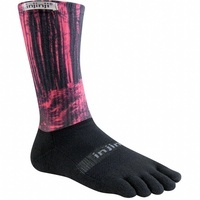 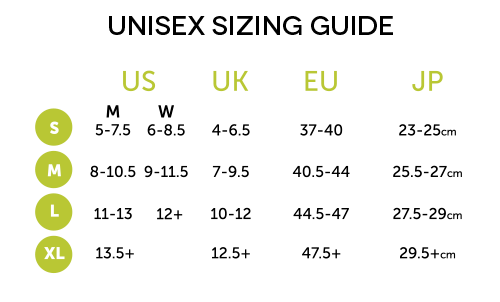 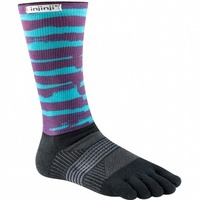 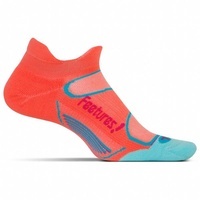 Injinji Outdoor Nuwool Original Weight Crew Socks have thin cushioning.